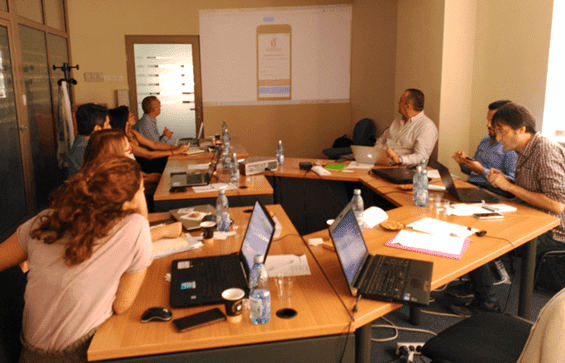 Last September took place the second project meeting in Bucharest. Between the 12th and 13th September partners had the opportunity to meet again and discuss about the progress made in the first 6 months of the project. In this occasion, progresses performed by all partners were discussed and a first prototype was presented by Ideable Solutions. This entry was posted	on Παρασκευή, Νοέμβριος 2nd, 2018 at 10:44 πμ	and is filed under Events. You can follow any responses to this entry through the RSS 2.0 feed. Responses are currently closed, but you can trackback from your own site.